The Meadow Fire exploded overnight to nearly 2,600 acres. It's still burning, but thanks to heavy rain Monday morning, the smoke has cleared. A wildfire has charred nearly 2,600 acres in Yosemite National Park, officials said. 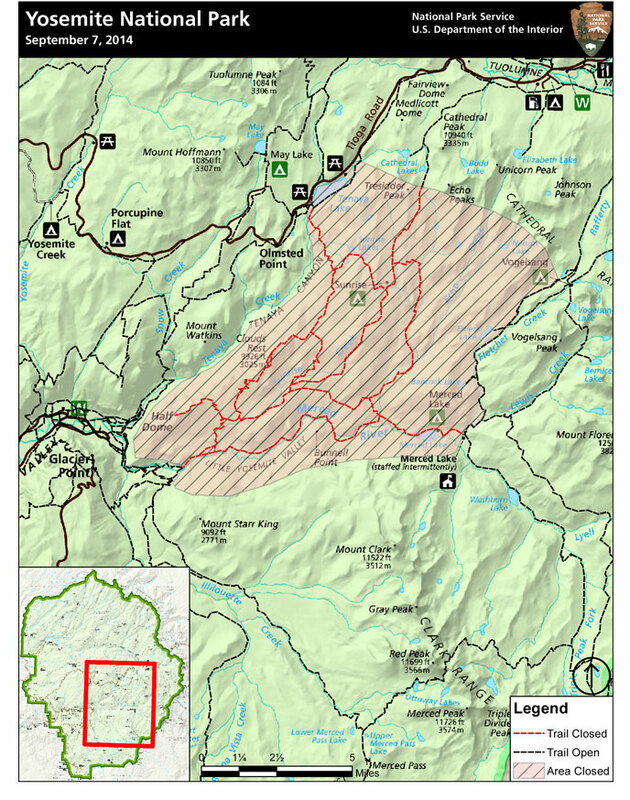 The so-called Meadow Fire is located east of Half Dome and near Little Yosemite Valley, a backcountry camping area. All roads, entrance stations and park facilities in Yosemite are open and operational, but trails near the Half Dome area remain closed due to fire activity. The fire is still burning but all who were in the path of the flames have been successfully evacuated. About 200 were airlifted by helicopter on Sunday. The high country around Half Dome remains off limits, disappointing some visitors like John Shaw from New Jersey. "Well, I came all the way out here to go on a hike and we got burned out," said Shaw. 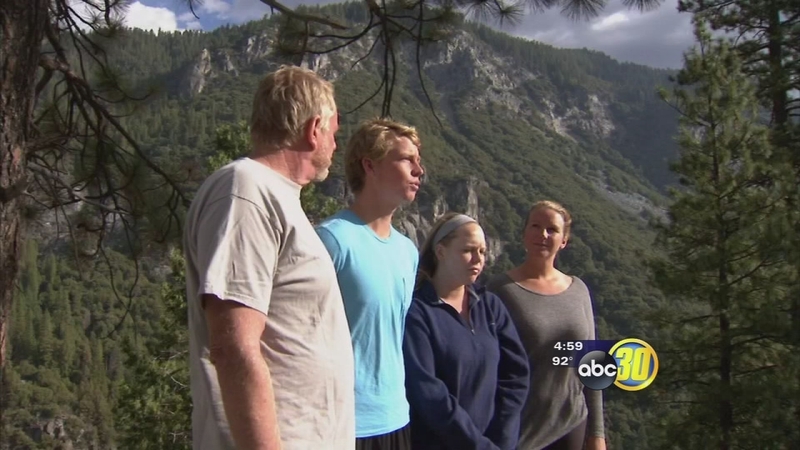 For the Lechner family from Chula Vista, a fun family hike in Yosemite National Park turned into a frightening ordeal. For Robert Lechner, Jr., who had to rush down Half Dome to escape the flames, it was a pretty scary experience. "It was intense," he said. "I've never seen flames that big or smoke that intense so close to me. You looked up and the entire sky was just black and red." The fire was believed to have started when a small lightning-caused fire, which was allowed to smolder since July, reignited. Now the plan is to completely snuff out those flames. "We are going to suppress this fire because of its proximity to popular trails, and to some structures and the high sierra camps," said Park Ranger Ashley Mayer. Rain cleared smoke from the fire out of the Yosemite Valley on Monday, but it is still burning intensely. A wildfire broke out inside Yosemite National Park on Sunday. The park is open with the exception of the high country campgrounds and Half Dome. Unless the wind changes and smoke blows back in, most park visitors won't be aware of the fire. Firefighters hope to have the fire contained soon. Helicopters were used to evacuate about 100 hikers from the top of Half Dome, Little Yosemite Valley and surrounding trails, officials said. Meadow (37 42.738 x 119 30.541 - Mariposa Co., 7,870', August 16) A fire, that may be a spot fire, from the Meadow lightning-caused fire, was discovered at approximately 12:30 PM, Sunday September 7. The fire is approximately 2,582 acres. It is burning within the Little Yosemite Valley (LYV) on both sides of the Merced River. All trails in the area are closed. 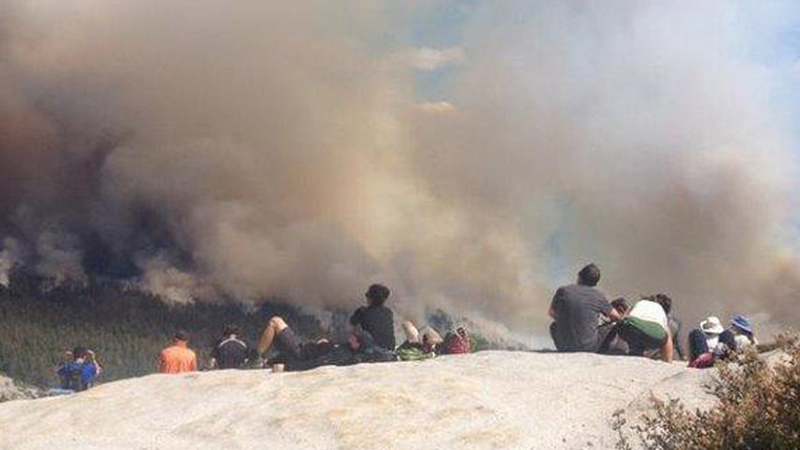 Approximately 100 hikers and backpackers were evacuated from the fire area in LYV. The fire is burning in Yosemite Wilderness. The High Sierra Camps were seasonally closed today. 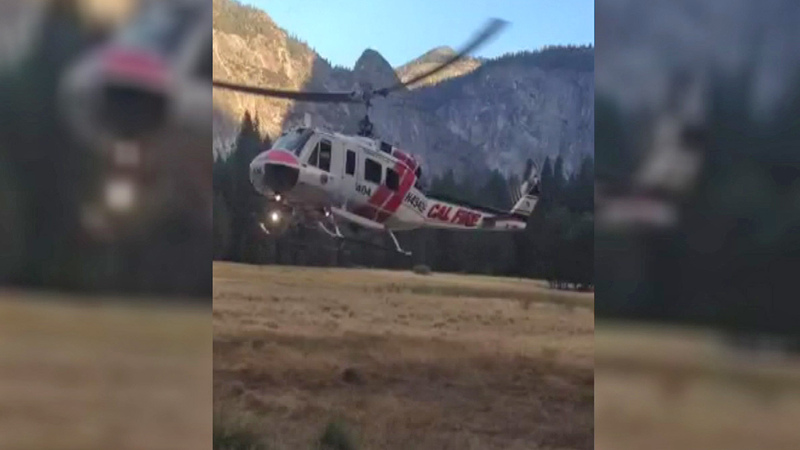 Eighty-five hikers and climbers were also evacuated from the summit of Half Dome by helicopters from the California Highway Patrol, US Department of Agriculture Forest Service, Sequoia Kings Canyon National Park, and CAL Fire. 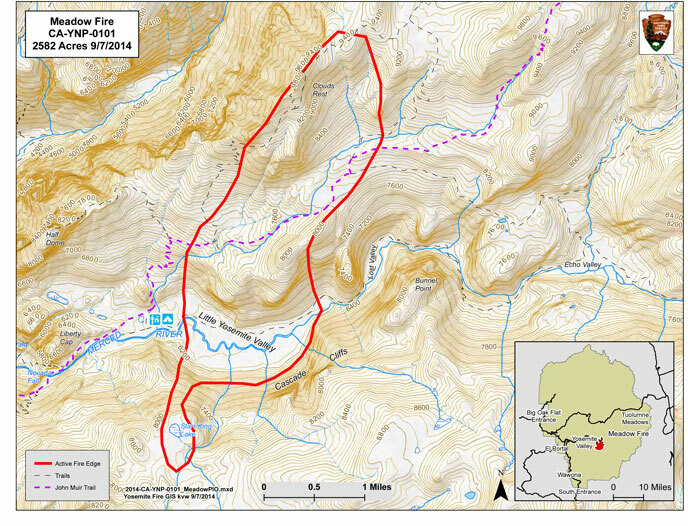 The South Central Sierra Interagency Management Team will begin management of the fire at 6 PM, September 8, 2014. Nevada Fall east through Little Yosemite Valley along the Merced River corridor. Fires of this magnitude, in this area of the park have in the past produce heavy smoke that drains down into Yosemite Valley, so be prepared for smoke in the Unhealthy AQI range or worse in the mornings, with some clearing in the afternoon hours. Information for schools can be found on this site, and links to current air quality updates for this incident will be posted on the California Smoke Information blog. As with any fire incident in Yosemite National Park, firefighter and public safety is our number one priority. We appreciate everyone's assistance with this priority.